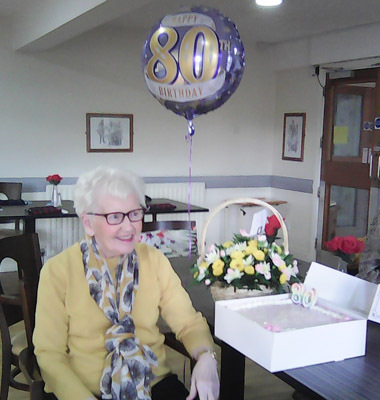 Happy Birthday greetings to our latest birthday girl Susan who is 80 years young. 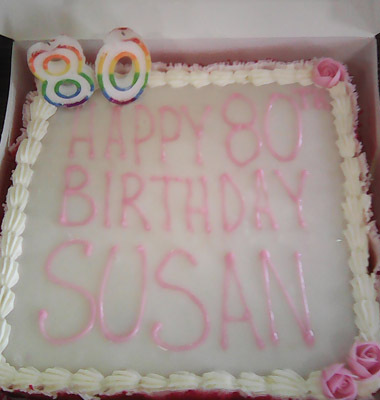 All the staff and residents of Clareview would like to extend our biggest congratulations to Susan. Susan keeps us all on our toes, makes us laugh with her sense of humour and enjoys life to the full. It was a wonderful day and not one we will forget in a hurry. Here’s to the next one Susan and many more as you know more than most how much we enjoy a party here at Clareview !